Visual Studio Code (VSCode) is a great tool for editing Markdown files. It’s not immediately obvious that VSCode comes out of the box with the capability to preview Markdown files and even provide a side by side live preview view so you can see the result as you are modifying the file. 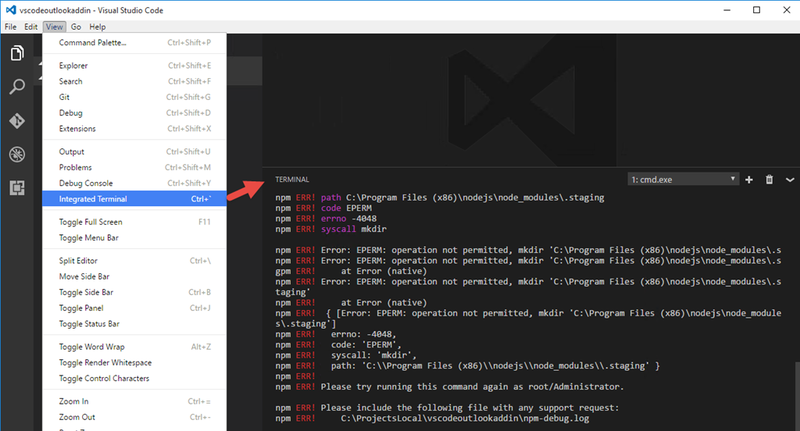 In VSCode opening the file will provide the standard file editing experience (as shown on the right hand side of the image below). 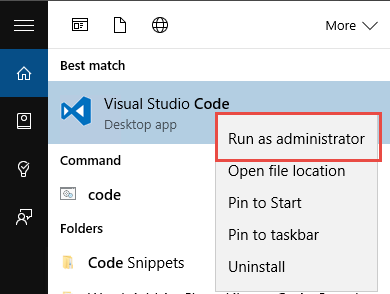 Without having to remember VSCode keyboard shortcuts, you can simply right click the markdown file and select Open Preview. 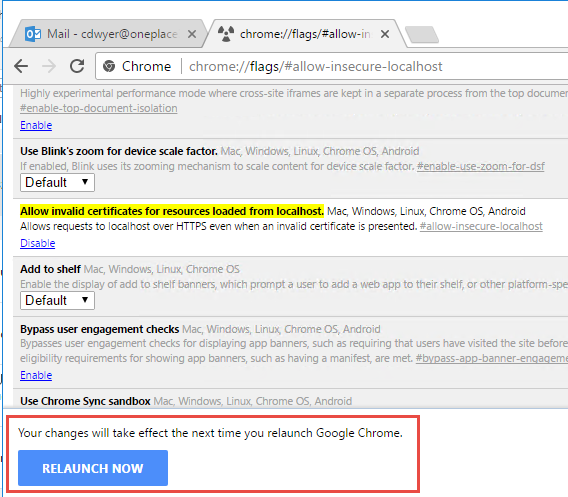 This will result in the preview of the markdown file being opened in a new tab. We can go one step further using the Split Editor button in VSCode to get both the editing experience and preview side by side. 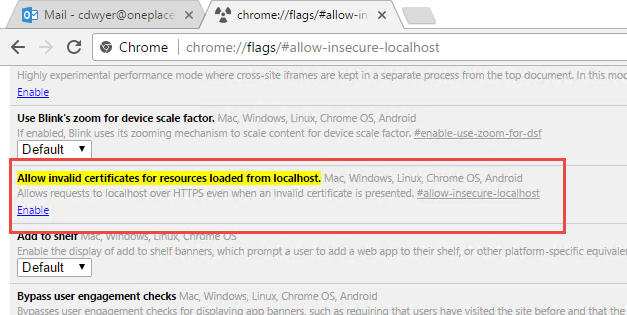 This is a problem I have come across each time I build a new virtual development machine with Visual Studio on it. The problem has been around for a few years now and I always have to search around for the steps to fix it each time it catches me. 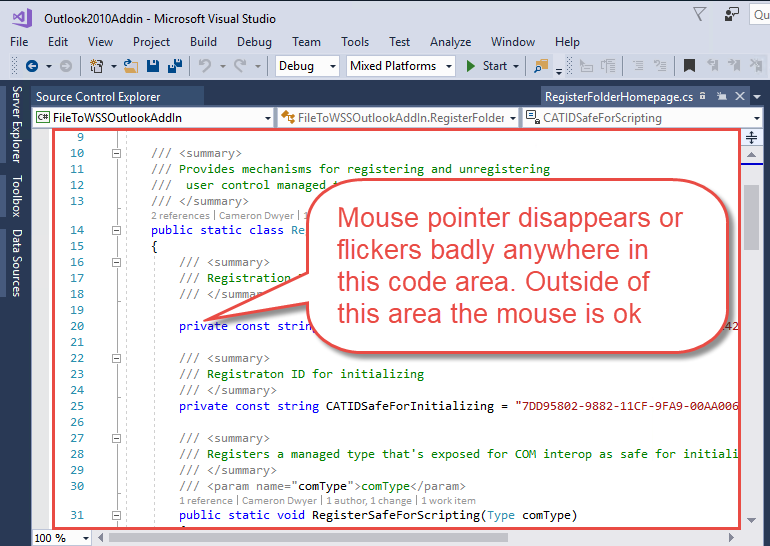 When using Visual Studio the mouse cursor flickers badly or totally disappears when the mouse pointer is in the code editing area of Visual Studio (as shown in the screenshot below). 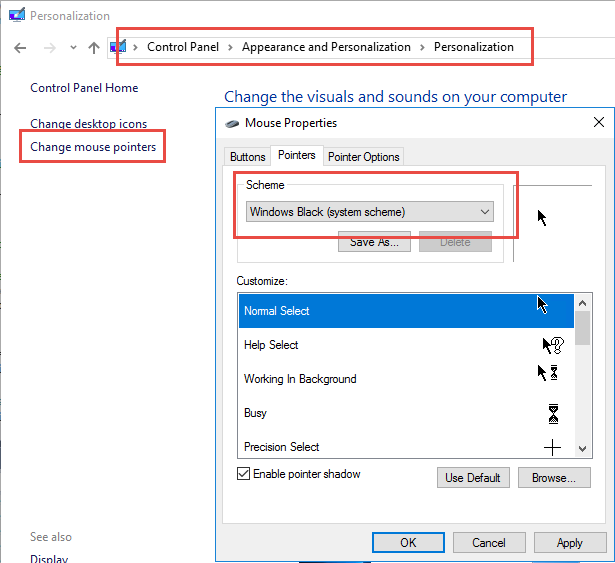 Moving the mouse cursor outside of this area makes it visible again, and it seems that the mouse pointer is unaffected when using other applications and on the Windows desktop itself. I’ve found that the problem is much more prevalent when access Visual Studio on another machine (e.g. virtual development machine) via remote desktop. That’s it, your cursor should now be back and stable.